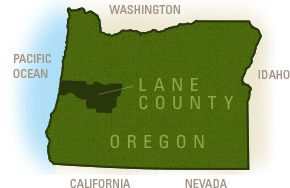 Travel Lane County&apos;s Visitor Industry News updates are archived below. These newsletters include articles about developments, campaigns, industry events, economic impacts, travel statistics, tourism leaders and more. To receive these e-newsletters, contact Andy@EugeneCascadesCoast.org. In this issue: TRT up over 10%, Sports Summit Series is coming in May, Digital marketing campaign pays dividends, Visitor Industry Celebration scheduled for June 5, Pinot Bingo becomes the South Willamette Wine Trail, 2019-20 visitor guides arrive, legislature is heating up and more! In this issue: Board of County Commissioners hears FY19 semi annual report, Visitor Industry Celebration set for June 5, Cellar Season campaign highlights, Sector strategy ads to appear in the Eugene airport, Springfield community video released, LCOG honors community members, Board member Richard Boyles reappointed to the Oregon Tourism Commission and more! In this issue: Sports Summit Series continues, City of Eugene designates Pre&apos;s Trail Historic Landmark, Cycle Oregon returns to Lane County, Springfield community video debuts, Eugene Tasting Trails app growing in use and more! In this issue: Demand was up in November, Eugene Tasting Trails App debuts, It&apos;s time for Plan for Vacation Day, Hotel changes include sales and construction, New air service to Chicago begins in June, ODOT looks for comment on the Oregon Coast Bike Route and much more! In this issue: The Bier Stein hosts Winter Ale Fest and member holiday party, South Willamette Food Trail takes shape, Forest Service offers 4th graders free park passes, Travel Lane County offers corporate buying program, CPR training saves lives, Holiday celebrations take place throughout the county and much more! In this issue: Board of commissioners extends Travel Lane County grant agreement, Capitol Christmas Tree heads to Washington D.C., Members give back during the holidays, Travel Oregon launches fall/winter campaign, Lane county organizations receive Travel Oregon grants, Construction impacts affecting visitors and employees and much more! In this issue: Eclipse month impact felt in August TRT and demand numbers, Lochmead Farms Dairy takes top prize, Certified cider professional workshop offered, Outdoor recreation director gets started and much more! In this issue: TRT collections get off to a fast start, Downtown Springfield passport program launches, Customer Service Gold training available through Travel Lane County, Farm cafe&apos; legislation drafted, Baxter the Adventure Dog goes to the ballpark and much more! In this issue: FY18 TRT Collections Set Record, Meet Travel Lane County&apos;s Adventure Dog, Be a Part of History at Animal House party on 8.18.18, Family Day Featured Fossils, National Indicators Show Growth and more! In this issue: New Local Tours, Agritourism Studio Develops Farm Tours, Electric Car Charging Options Expand, Outdoor Recreation is Big Business in Oregon and more! In this issue: Visitor Industry Celebration Award Winners, Visitor Spending for 2017, Natalie Inouye, VP of Tourism Marketing, Honored by Travel Oregon, Museum of Natural and Cultural History Wins Award, New Digital Meeting Planner is Live and more! In this issue: Travel Oregon Medium Grant Cycle Opens, TRT Remains Strong, NCAA Track & Field Returns in 2021, Hayward Field Renovation Announced, Wine Country License Plate Grants Awarded, New Community Videos Available and more!